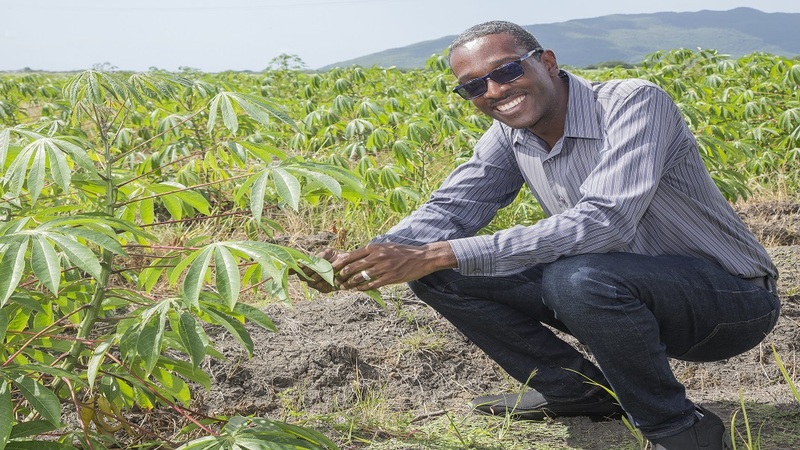 Mark Williams inspects his cassava plant that is expected to mature in April 2019. He currently has 30 acres of land in under cultivation in Gimme-mi-Bit, Clarendon, and hopes to increase to 73 acres by next year. 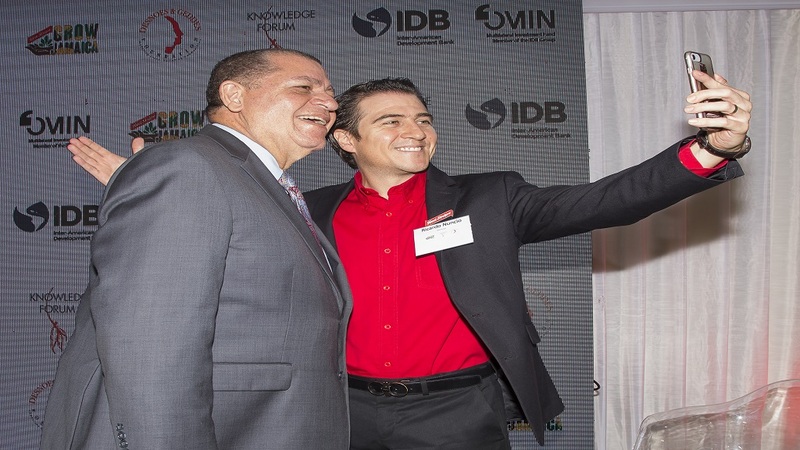 Ranked as the fifth best country in the world to start a business according to the latest Global Banking and Finance Review, entrepreneurs in Jamaica are raring to turn their passion into profit. Among this group of leaders is 33-year-old farmer, Mark Williams, co-owner of Great Oak Farms Limited. Raised on a farm in Old Harbour, St. Catherine, Williams always had a knack for farming. 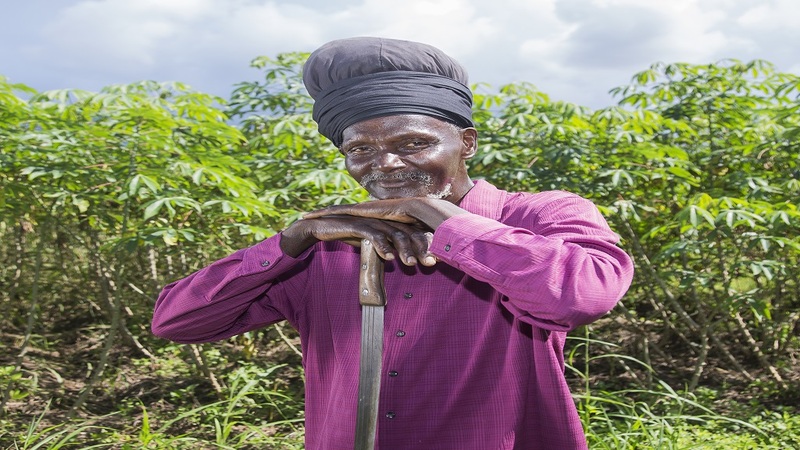 During his teenage years, his interest grew when he started planting callaloo for his family. This experience ignited his passion for agriculture as a business. “When I used to see my family purchasing callaloo from street vendors I started thinking that I could earn a living from farming. Now, with the ageing population and more people living longer, there is a high demand for food. I farm because I want to supply that need and make a meaningful contribution,” offered Williams. As with any entrepreneurial journey, securing financing is a difficult feat. After failed attempts to obtain a loan from several financial institutions, Williams achieved success with Jamaica National Small Business Loan (JNSBL), thanks to a partnership with brewing giant Red Stripe. The partnership offers specialised loans for farmers in the beer company’s 'Project Grow' programme. Williams secured the Agriculture Loan Special which allowed him to borrow up to $15 million at a rate of 9.5 per cent. This package offers the possibility of up to 80 per cent loan guarantee at a fee of one to two per cent, plus GCT per year for the principal amount outstanding each year. “JNSBL is committed to national development and social enrichment. 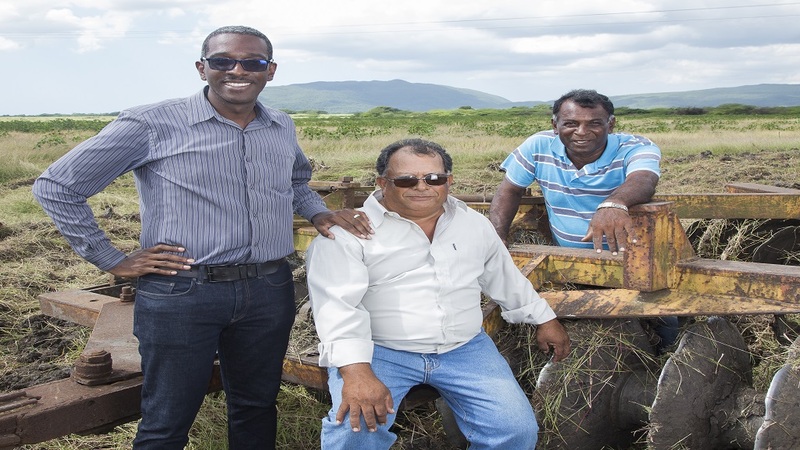 By supporting Red Stripe’s Project Grow initiative we are able to give farmers the help they need to fulfill their agricultural dreams,” said Gillian Hyde, JNSBL’s general manager. The loan has allowed Williams and his four business partners to establish their agribusiness in St. Catherine and Clarendon. They planted their first cassava crop on 30 acres of land earlier this year and expect to benefit from the harvest in three months. (L – R) Mark Williams joins Orlando Budoo and Gifford Bughoo, co-founders of Great Oak Farms. Missing are Dale Cowan and Cassene Moore. JNSBL also offers Project Grow farmers the Climate Smart Loan where they can access up to JMD$5 million. The loan can be repaid up to 48 months after acquisition at an interest rate of four per cent. Through this loan, farmers can equip themselves with irrigation tools and climate resisting fertilizer to facilitate farming of more wholesome cassava. 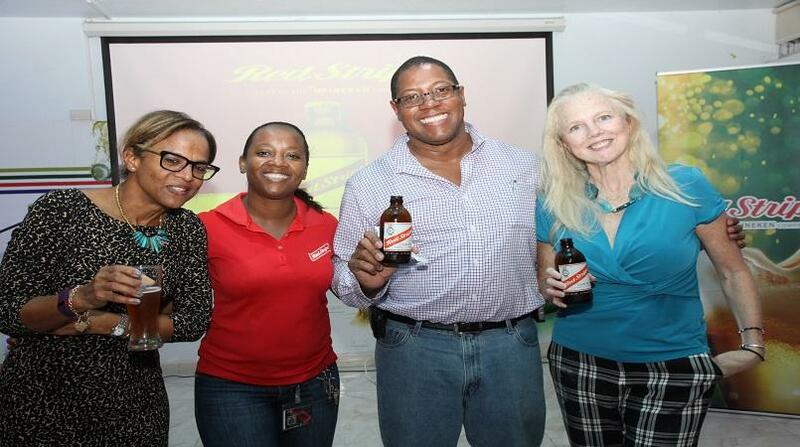 In exploring opportunities for the tuber, Red Stripe brought together leaders in agriculture and manufacturing at a Knowledge Sharing Forum on November 21 at Mona Visitor’s Lodge. The event focused on linkages between manufacturing and agriculture and the ways in which key players can contribute to the cassava value chain.